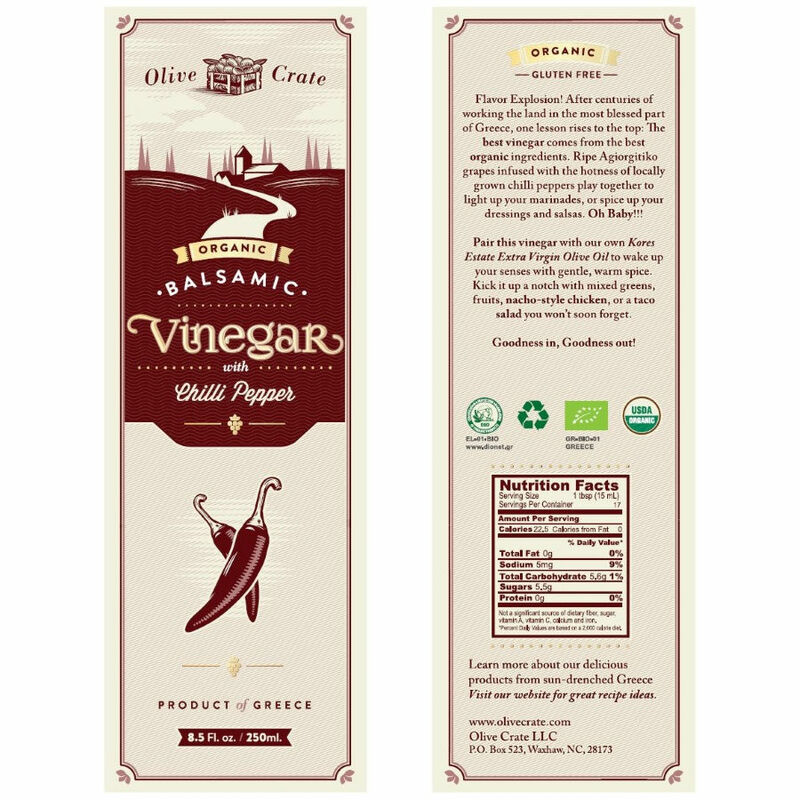 Organic Balsamic Vinegar with Chili Pepper - flavor explosion! After centuries of working the land in the most blessed part of Greece, one lesson rises to the top: The best vinegar comes from the best organic ingredients. Ripe Agiorgitiko grapes infused with the hotness of locally grown chilli peppers play together to light up your marinades, or spice up your dressings and salsas. 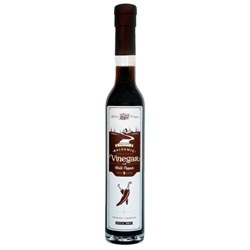 Pair this vinegar with Extra Virgin Olive Oil to wake up your senses with gentle, warm spice. Kick it up a notch with mixed greens, fruits, nacho-style chicken, or a taco salad you won’t soon forget. 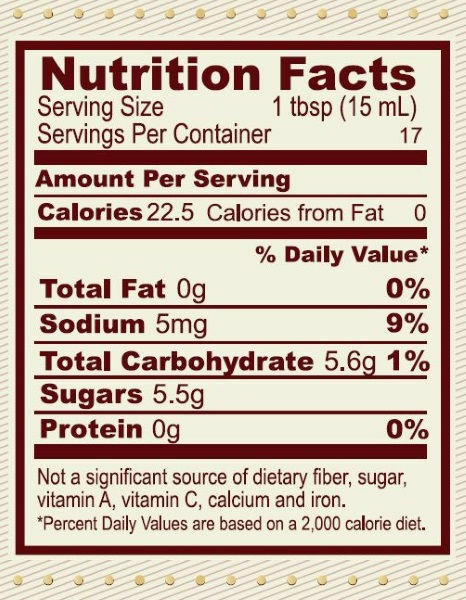 At Olive Crate, LLC we continue to strive for the same values by offering our Kores Estate Extra Virgin Olive Oil grown without chemicals and by natural irrigation in the Argolis region. 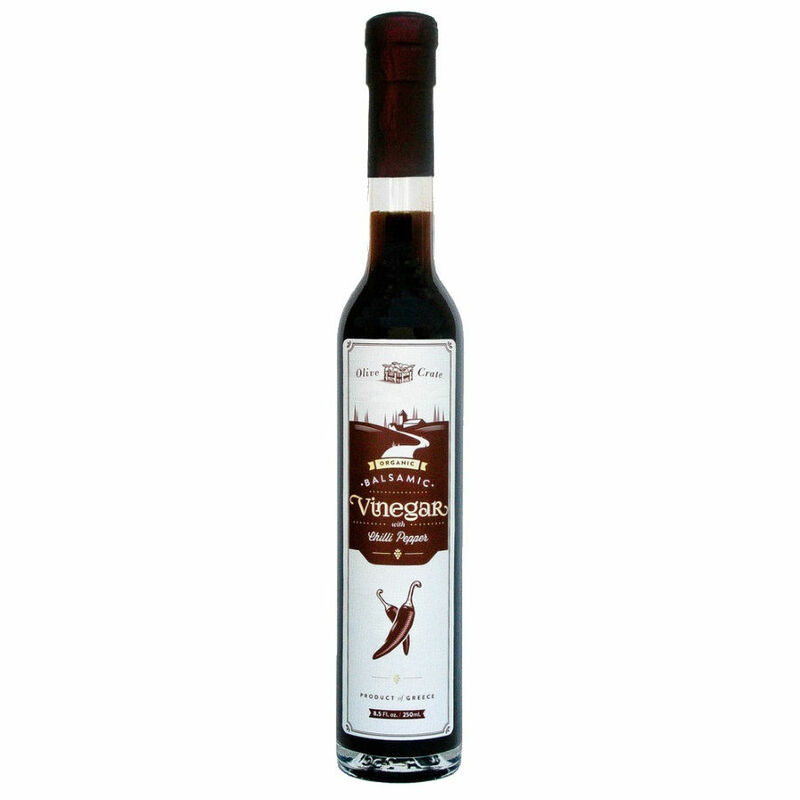 Our award winning Balsamic Vinegars are certified organic and made with the finest of local Greek ingredients. Our hand crafted olive wood products are made from necessary pruning and naturally fallen trees.